After working at a large financial services firm for a few years, a friend who worked for the Enova Analytics team referred me to an opening. I was looking to gain some experience working for a firm where I could utilize my skills more, and coming to Enova seemed like the perfect opportunity at the perfect time. 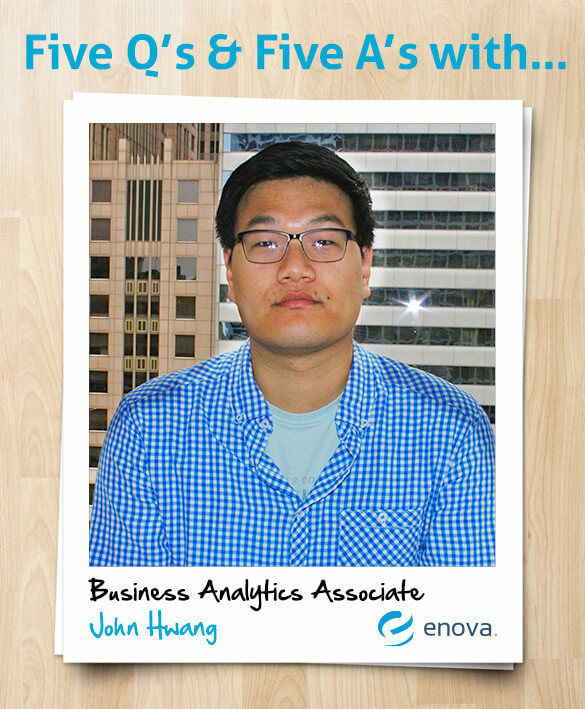 Work with Enova’s Business Analytics team, focusing on the UK installment loan products. Most of my time I’m working with data and running analytics to find ways of improving the business. More specifically, I have worked on analyses for the launch of variable term loan products, statistical tests to measure the effect of pricing, and underwriting models for new products. Taking ownership and adding tangible value. One of the more frustrating aspects of working for a large company was not being able to have a direct impact on the work. At Enova, the culture allows you to drive your own projects from start to finish, which enables you to learn and develop quickly, and to see evidence of the value you’re adding to the company. Especially in helping to launch a new product, it almost felt as though I was part of a start up within Enova, making critical decisions that would have a huge impact on the success of the product. I would probably choose a suburb in Seoul, South Korea. I really do like experiencing all four seasons — though I prefer them to be evenly distributed, opposed to Chicago’s “winter for half the year” model — which are present in Seoul, and a suburb provides all the benefits that a large city offers, with quieter evenings I can enjoy at the end of the day. South Korea is where I was born, and with all of my family still there, it’s the place I would most like to return later in life. 5. What are your top three desert island must-haves and why?